This photograph depicts the Norfolk and Norwich Hospital boiler house in the 1900s. 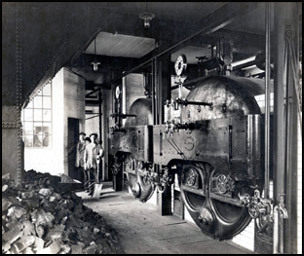 The boilers, although run by coal, are kept immaculately clean and in a good state of repair. They would have provided the heat and hot water for the Hospital.